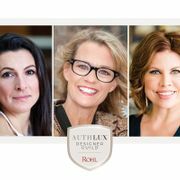 Irvine, CA – February 17, 2015 - For the third time in four years, ROHL has been honored by the Kitchen & Bath Industry Show (KBIS) with a Best of KBIS Award. The new ROHL Michael Berman Graceline™ C-Spout Lavatory Faucet was awarded the Best of KBIS – Bath Silver Award during the 2015 show held on Wednesday, January 21, 2015, at the Las Vegas Convention Center. Presented annually, the Best of KBIS Awards recognize the newest and most innovative kitchen and bath products. The Graceline™ Faucet was selected as one of five award winners from an extensive list of more than 100 product entries. Products were judged by a panel of industry professionals on excellence in design, functionality, quality/durability, flexibility and aesthetics/style. The Graceline™ Faucet is the newest addition to the Michael Berman American Moderne Collection. Its design reflects Berman’s appreciation for streamlined design, and features sleek lines and industrial details. Its name is inspired by the luxury ocean liners of the 1920s and 1930s, once considered the epitome of transatlantic travel. Featuring a long, graceful arch, the Graceline is complemented by lever or dial shaped handles reminiscent of ship cleats. Thumb depressions on the handles and “knurled” banded escutcheons add a hint of glamour. New for 2015 are two exclusive finishes, Satin Gold and French Brass. 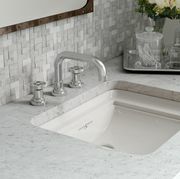 Previous ROHL Best of KBIS Award winners include the ROHL Shaws Waterside Single Bowl Fireclay Apron Front Sink (Best of KBIS Kitchen, 2013) and the ROHL Luxury Copper Stainless Sink (Best of KBIS Kitchen, 2012).